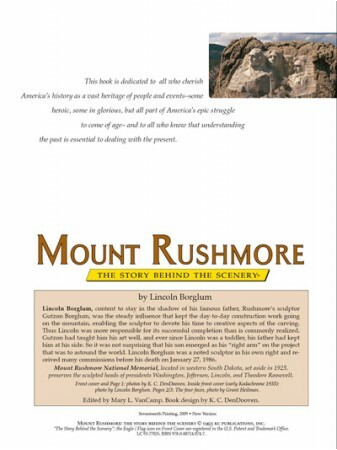 KC Publications' "Mount Rushmore, The Story Behind the Scenery" documents in high definition photography the sculpting of this famous American monument and in the words of Lincoln Borglum, son of sculptor Gutzon Borglum. 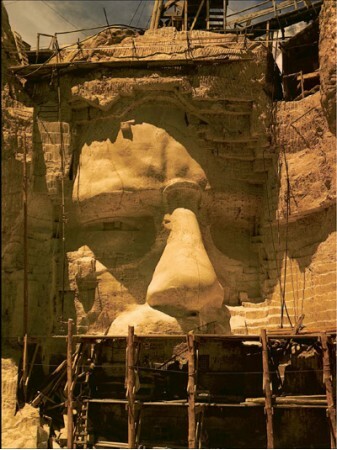 Lincoln, who also directed day to day operations on the carving of what has been called a "shrine" of democracy, has authored what is a tribute to his artist father as well as his creation. 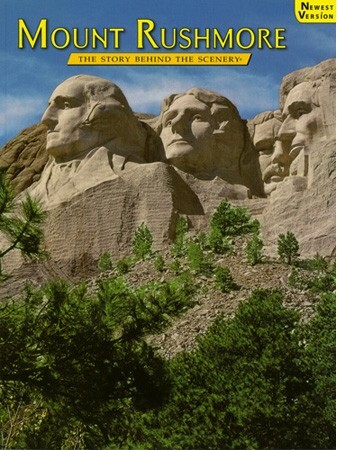 In his words, "One does not escape the spiritual quality of the experience here at Mount Rushmore. 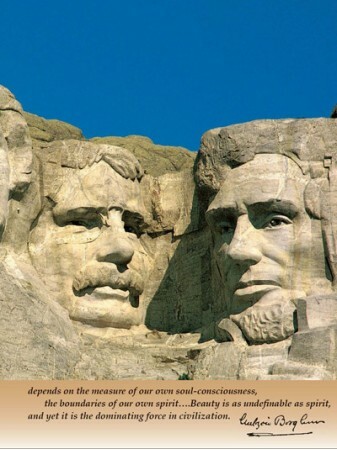 It wakens response in the hearts of the most complacent of citizens, lights the faces of the most cynical of observers, hushes the complaints of tired travelers, young and old, and quickens the step of the world-weary." "Why should this be so? 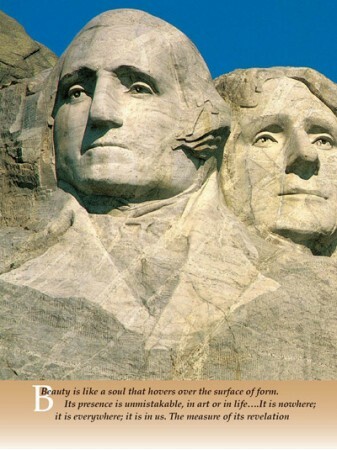 What is it about these faces carved in cold granite that can evoke such feelings of love of country and the sheer joy of being an American, that one no longer cares how in vogue these feelings may or may not be? Pride? 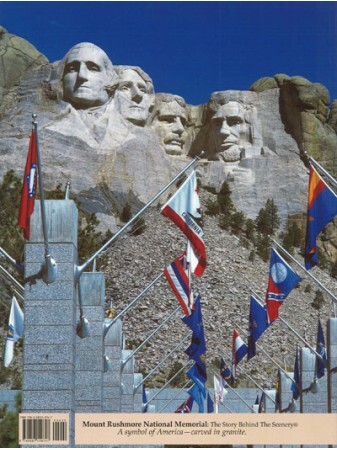 Yes, pride that here is a true wonder of the world that didn't just happen to be in this land by a whim of nature. 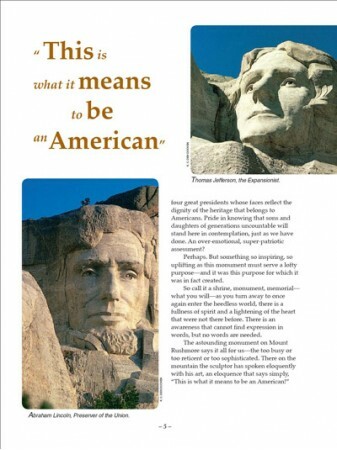 Pride that this was an accomplishment born, planned and created in mind and by the hands of Americans for Americans." 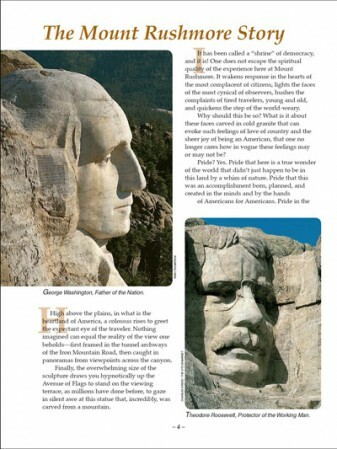 The sculpture of Mount Rushmore National Memorial, South Dakota says it all: There on the mountain the sculptor has spoken eloquently with his art, an eloquence that says simply, "This is what it means to be an American."